Completion will change your name or address in the North Carolina Board of Nursing records. 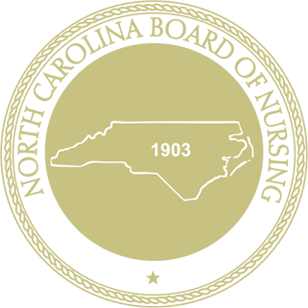 In accordance with the Nurse Licensure Compact, change of address may affect the practice privilege for your North Carolina nursing license. Log in to your profile. Please keep your Username and Password in a secure location as you will need this information to access your Nurse Gateway profile. Apply for Name Change or Address Change with the North Carolina Board of Nursing. To request a name change or address change, access your Nurse Gateway profile and select 'Request Name Change' or 'Request Address Change' located under My Profile. Submit legal documentation* supporting your name change to the North Carolina Board of Nursing. Allow 5-10 business days from the date you submitted your request for processing.